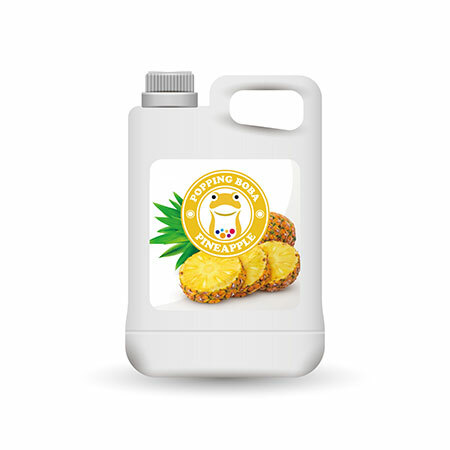 Sunnysyrup Food Co., Ltd. is a leading manufacturer, supplier and exporter the best Pineapple Juice Concentrate in Taiwan.Years of experience in this field, we continue to research and development, in order to make our products competitive in terms of quality and performance. The highest quality products at the most reasonable price is our ultimate goal. In order to achieve this goal, we have introduced advanced processing equipment, the product has a very high accuracy control. Therefore, if you have any questions about our products, you can tell us. We will give you the answer as soon as possible. Welcome to visit our website for more details. Pineapple Flavor Conc. Juice comes in light yellow color, belongs to tropical fruit. Taiwan is famous for producing pineapples. Sunnysyrup produce this syrup and make the customers who live all over the world can taste this special flavor. Pineapple Flavor Conc. Juice has strong and rich taste. It can be mixed with those tropical fruits like passion fruits or mangoes as special summer drink! Pineapple Flavor Conc. Juice is made from fruit juice, suitable for various kinds of drinks and tea beverages, this product is supposed to be diluted with water or tea before use. is popular in the world. Pursuing the service aims of contract abiding and trustworthiness, we sincerely welcome business people and friends at home and abroad to establish long-term and win-win cooperation relationship.